T-Mobile Arena – state-of-the-art, 20,000-seat multipurpose event center opens Spring 2016 to bring the city, and the world, a whole new place to play. T-Mobile Arena will be the most sought-after venue to hold all events, from sports to concerts and awards shows to boxing and UFC – T-Mobile arena will be the perfect place to book your next event. 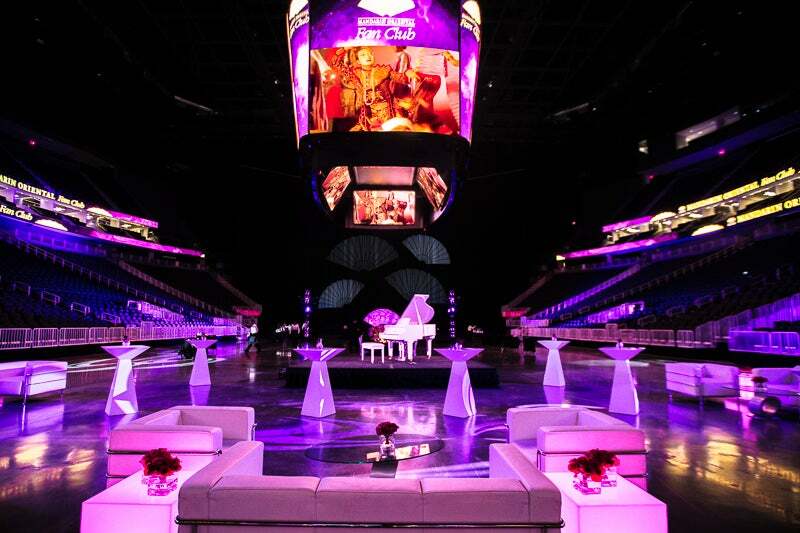 With the ability to host a variety of events, including sporting events, concerts, and private events, T-Mobile Arena is the perfect location for your next event. Join us for a spectacular evening and wine and dine your guests in the most unique atmosphere in the city, center ice. This elevated experience will wow your guests and make them feel like true VIPs (for private groups of 30+ guests). Find out more about hosting your event at T-Mobile Arena!